Robert Plant: He prefers bluegrass to bombast. Led Zeppelin frontman Robert Plant has seemingly put an end to rumours that the band are about to go out on tour. He plans to play the last of his dates with Alison Krauss then get off the road. A statement published on the singer's website is unequivocal: "Robert has no intention whatsoever of touring with anyone for at least the next two years. 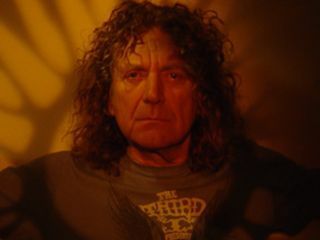 Contrary to a spate of recent reports, Robert Plant will not be touring or recording with Led Zeppelin. Anyone buying tickets online to any such event will be buying bogus tickets." That, then, would appear to be that - the tone of Plant's statement suggests that he's keen to put last year's one-off Led Zeppelin show behind him. "It's both frustrating and ridiculous for this story to continue to rear its head when all the musicians that surround the story are keen to get on with their individual projects and move forward," he writes. Despite his reluctance to reunite with them, Plant does end by saying: "I wish Jimmy Page, John Paul Jones and Jason Bonham nothing but success with any future projects." None of which, it now seems, will involve him.